Laundry Balls are a gentler, more eco-friendly way to do your laundry. The washing pellets inside slowly release their ingredients into the water making it softer and more alkaline and infusing it with oxygen. Your clothes and linens become clean without harsh chemicals attacking the fibres. And as there are no hidden bleaches or optical brighteners, your clothes retain their colour as well. With no fillers and additives, they are kind to septic tanks and the waterways in general and the wash water can be used to water the garden. Ideal for anyone with sensitive skin or asthma too. Wash without harm and enjoy the benefits of eco-friendly cleaning. The washing pellets consist mainly of mineral oxides that make water less acidic, plus natural surfactants – agents that break up the surface tension of water. As the active ingredients are released in the water, extra oxygen molecules are also formed and the pH level of the water is changed to become more alkaline. Exactly the same cleaning principles as laundry powders – just gentler, and without soapy suds or harsh chemicals. Your clothes, your skin and the planet will feel the difference! Sodium carbonate (washing soda or soda ash) Softens the water and helps break down body oils and dirt. Saponins Plant based saponins are a natural emulsifier which allows water and oils to mix helping to remove the oils from fabrics. Olefin sulfonate Olefin sulfonate is a surfactant that helps oily molecules and compounds dissolve in water. Calcium carbonate Commonly used in antacid tablets, it makes the water less acidic and is a base for the pellets. Lemon or lavender essential oil Provides a subtle, natural fragrance. Sodium metasilicate (water glass) A strong alkaline base also used in home brewing and food preservation. Optical brighteners The dyes absorb certain spectrums of light to make fabrics look whiter and brighter. They’re a big culprit in allergic reactions. Strong artificial fragrances Often a factor in irritated skin. Phosphorus Softens water. Its derivatives used in laundry detergent are banned in some countries. Using Simply Laundry Balls correctly, you’ll save time and money, give your clothes and linen a gentle, thorough wash, relieve skin allergies and reduce the environmental impact of doing the laundry. They work well in front loaders, top loaders and for hand washing for regular everyday cleaning. They are not an all or nothing option. If there’s ever a particular reason to use commercial washing powders, you can do so. For instance, if you have oily, greasy overalls, sweaty sports gear, really muddy or grass-stained clothes to wash, then much stronger laundry products on the market containing the harsh detergents and enzymes may be needed to clean these effectively. Follow the clothing fabric care labels and separate whites, colours and darks as you would normally. Pre-treat or pre-soak stains as needed. For brighter whites, add Simply Whiter Bleach Powder. Do a warm/hot wash once a week to keep your washing machine clean. It makes sense to use this wash for your dirtiest clothes. Rinse the washing balls under the tap after a very muddy wash or nappy load. Air the laundry balls in a dry indoor place out of direct sunlight at the end of the day. For a stronger fragrance, you can add essential or fragrant oils to your pellets by adding 5 to 10 drops onto the washing pellets in each ball, shake and allow to dry overnight. Laundry ball washing is great when you want to save time and hassle as well as water when you're travelling, camping or just have some hand washing to do. Use one Simply Laundry Ball in a small bucket or basin. Let the washing ball stand in the water for about 2 minutes, then shake it in the water for 30 seconds. Leave the ball in the water while you wash your clothes but for no longer than 10 to 15 minutes. When you’ve finished washing, wring out the clothes and hang them out to dry – there is no soapy residue so no need to rinse. 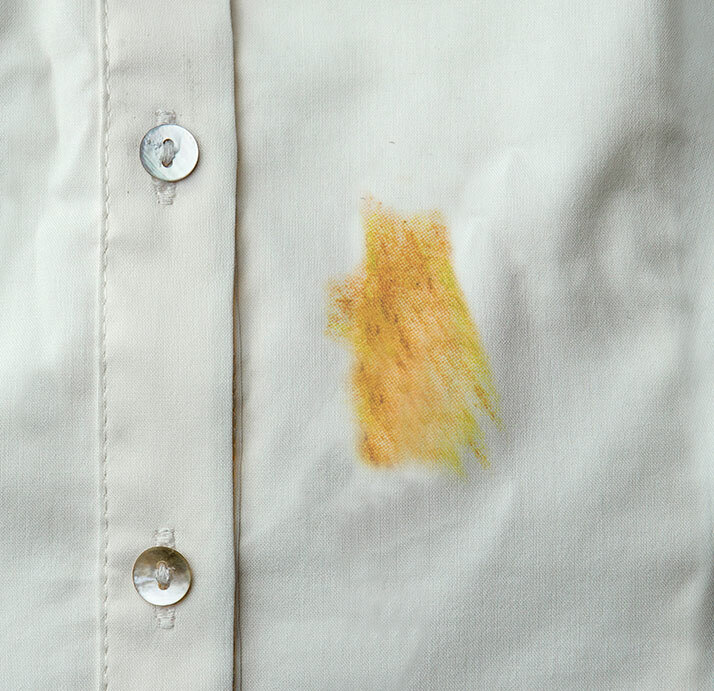 For dirty marks and common stains, use our Simply Stain Remover Stick, Simply Whiter Bleach Powder or your usual favourite pre-treatment laundry product. Dish washing liquid is underestimated – it is very effective on oily stains. A hotter wash can help when something's really grubby and pre-soaking is a great way to deal to hardened stains. Baby bibs, mud and grass-stained clothing, sports gear, work T-shirts, teenage boy’s clothes, and any other special challenges may need the extra boosts of enzymes, strong laundry detergents and bleaches in commercial powders or liquids. It makes sense to use the harsher commercial alternatives for these and the gentler laundry balls for the other 95% of your washing. Laundry Ball pellets do not contain bleaches or optical brighteners that can irritate skin and sinuses. If you want your whites whiter, add Simply Whiter Bleach Powder or your favourite oxygen-based bleach as a pre-soak or in-wash booster. Hot water can make a huge difference. You can also add a cup of a mild bleach like white vinegar to the wash as a natural alternative. To maintain the best cleaning results, it’s best to replace the pellets completely after about 150 washloads. The pellets will never wear right down. Use a teaspoon to prise off the grommet (under the blue foam ring). Shake the pellets out of the hole and refill again through the same aperture. Don’t attempt to twist or prise open the balls. The washing pellets are fully biodegradable and you can safely discard them to landfill or compost. 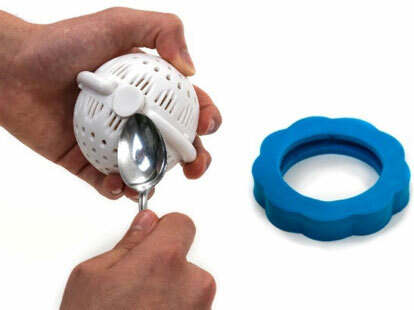 Because Simply Laundry Balls do not contain the ingredients you normally have to rinse out, you have the great option to save water by skipping the rinse cycle. If you wash by hand, you can simply wash your clothes and hang them straight out to dry. The water saving option is there for those that really want or need it. If you don't, then just let the machine go through its normal cycle as usual. Our recommendation of 150 washloads allows for the fact they will go through a rinse cycle so you won’t be "using them twice as fast" if you rinse. Not rinsing can save you 50% of the usual water you use when washing. Leaving the lid up on some top loaders stops it from spinning until you are ready. Many models have a wash and hold cycle you can use. Lots of machines also have an Eco Rinse cycle. Set your front loader to the minimum number of rinse cycles. Find out how long it takes for a full load to fill and wash in your top loader. From then on use a timer. You'll easily cut 15 to 20 minutes off the full cycle time as well as save a whole machine load of water. The worm friendly grey water can be safely used to water your garden and lawn or even to wash your car. Use it to wash floor mats, rubbish bins and soak muddy clothes. Great for those water restricted areas in summer. Your washing machine works hard week after week washing your clothes… But does it ever get cleaned? You’d be really surprised at how much gunge builds up behind the drum where you just can’t get at. If you find your washing is smelling "musty” then it’s time to clean out those pipes. Here’s an easy way to keep your washing machine clean. Fill your empty machine (front or top loader) with HOT water, the highest level you can programme. Add a cup of dishwashing powder, or four dishwashing tablets to the water. Use half these quantities for a front loader. Alternatively, you can use a 150g pack of citric acid, available in the baking section of your supermarket. Turn the machine on and agitate the water for a few minutes to dissolve the dishwashing powder or citric acid. Then turn your machine off and let it soak for 3 to 5 hours. Restart your machine on its longest, hottest wash cycle and rinse through twice. Nappies will come up fresh, soft and stay absorbent and there is no chemical residue to irritate baby's skin. Woollens can be hand washed or machine washed safely with the laundry balls and silks, satins and velvets enjoy the gentle mineral wash. The plastic casings carry our 12 month warranty against breakages and damage. All plastic products have a life span and the plastic casings should last you approximately 3 to 5 years. The foam rings may look a little tired and move around after a while but they will work fine until it’s time to replace the casings. They are simply ideal for septic tanks. As the pellets don’t have any strong chemicals in them the pH level is kind to septic tanks. There are no added anti-bacterial chemicals, enzymes, or phosphates which can "kill" a tank very quickly. The wash grey water is safe for use in bio-systems.